Home » Fitness Equipments » Best Stretching Machines 2019 – Comprehensive Reviews Included! 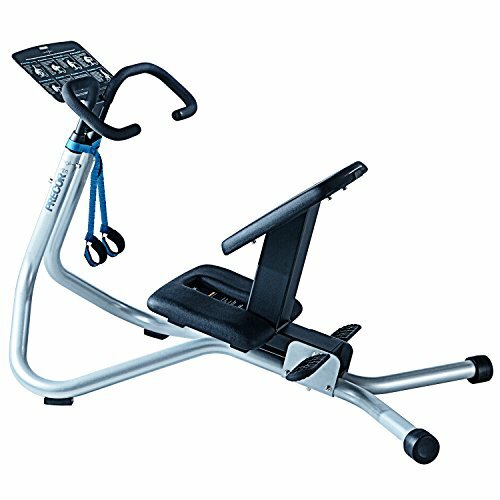 Planning to buy a stretching machine but clueless about which is the best stretching machine out there? Don’t worry, we will help you to find the right stretching machine for you but before we begin with our recommendations, let’s know a little bit more about stretching machines. What are they? What are their types? Why one should use the stretching machine and same sort of things! Sitting is the new Smoking, experts say! So, it is essential to stretch your muscles once in a while if you don’t do that every day. Moreover, regular stretching should be an integral part of your exercises, whether you are an IT professional or one athlete. Just as any other fitness equipment, random selection isn’t a possibility when the best stretching machine is your aim. Because there are different products in the different category, your selection should be purpose-oriented. Do not worry, we are here with full preparation. Obviously, the three choices have some unique focuses to offer and every stretching machine has its own pros and cons. Best Stretching Machines 2019 – The Winners! Full Body Stretching Machines – Our Top Picks 2019! This type of stretching machines will provide an awesome stretching experience to all the major muscles. These are used when people need enhanced flexibility, posture maintenance and reduce back pain and tightness of muscles. Now, we’ll have a look at the winners of our review. We tested all these products for a long time, via a group of experts as well as the common people around. And, the winners have been selected based on the collective input. Precor 240i Commercial Series StretchTrainer is one of the best full-body stretching machines — for both commercial and personal purposes. It is a bit expensive but combines high-quality hardware and state-of-the-art ergonomics. In our tests, it performed really well. You can use Precor 240i Commercial Series StretchTrainer for 8 different stretching patterns. Thanks to the placard seen along the handle, you can try every stretching pattern, as per your flexibility needs. The ergonomic design is providing the best stretching positions. And at last, Precor 240i Commercial Series StretchTrainer does not consume much space. Its dimensions are 52x28x36”, which is quite space efficient. Considering the five-year warranty for frame and a two-year warranty for space, this is one of the finest options. When you need a blend of affordable price and quality performance, LifeSpan Stretch Partner Bench is the best shot you can make. For an affordable price, it was able to provide a comfortable yet effective stretching experience for us, through all the parts of body. LifeSpan Stretch Partner Bench uses a patented pivot system, which is good for fuller stretches. With the package, you will get a Flexibility for Life video. This 30-minutes tutorial will help you learn about different stretches and their advantages. In addition, its controls are minimal. With the dimensions and weight of 50”x30”x11” and 75lbs respectively, we didn’t have any problem in handling or moving LifeSpan Stretch Partner Bench. However, it will be compatible with user-weight of 300lbs. You also get five-year frame warranty for residential uses. If you are ready to pay more, Motive Fitness TotalStretch TS200 Commercial Body Stretching Machine is a fully-fledged & worth-buying solution for advanced stretching needs. As you can see, this stretching machine has been optimized for all types of popular stretches. 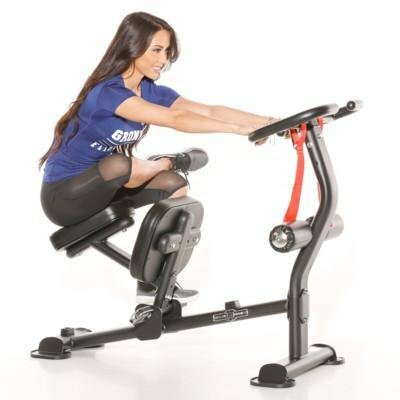 The specially-designed handlebar is one of the unique things we found in Motive Fitness TotalStretch TS200 Commercial Body Stretching Machine. You can use the multiple grips according to the type of stretching. The same ergonomics is there in the case of platform and rollers. This full-body machine has dimensions of 59”x29”x40”. Although it weighs just 88 pounds, the maximum weight capacity is 325lbs. in short, Motive Fitness TotalStretch TS200 Commercial Body Stretching Machine is an effective choice for almost all sorts of people. Gronk Fitness Commercial Stretch Machine is another mid-budget full-body stretching machine you can go for. Its unique feature is the extended stability and durability, thanks to the 65lb build. In our testing, we were able to assemble it in a few seconds and get started. Another good thing about Gronk Fitness Commercial Stretch Machine is that it can satisfy commercial as well as personal needs of users. Even the gym experts are pretty impressed by this equipment. Also, its multi-grip handle bars are superb-cool for comfort and easier stretching. Combined with these are front pads. There are other features too on this machine, such as the double-stitched upholstery and the solid foot for extra stability. Despite all these, weight has been brought down to 70lbs and the dimensions are 46”x22”x40”. Leg/Hamstring Stretching Machine – Top Picks! This is the best stretching machine if you want to focus on your legs or hamstrings. If you sit all the time and want to relax your leg muscles, this would be the optimal choice. Now, you can have a look at our stretching machine recommendations. As it promises, Century VersaFlex Stretching Machine provides the best stretching experience in shortest time period. It’s built with a sturdy design and ultimate flexibility. For instance, you can have up to 190 Degree Stretching for your legs or hamstring. You can choose put the stretching arm in four different positions, according to the type of stretching you like. It does not come with stretching guides or anything, but you can find enough information on the Internet. 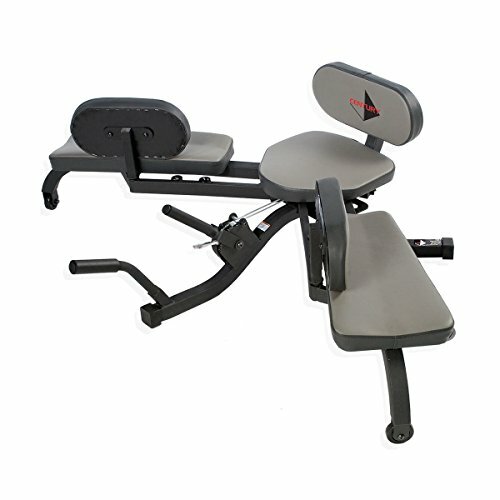 To enhance the comfort, Century VersaFlex Stretching Machine is equipped with multi-position thigh pads. Also, for better accuracy, there is degree indicator too. Quite conveniently, Century VersaFlex Stretching Machine has dimensions of 35” x 20” x 8”. Also, when we consider the weight of 56lbs, it’s good enough for portability and management. 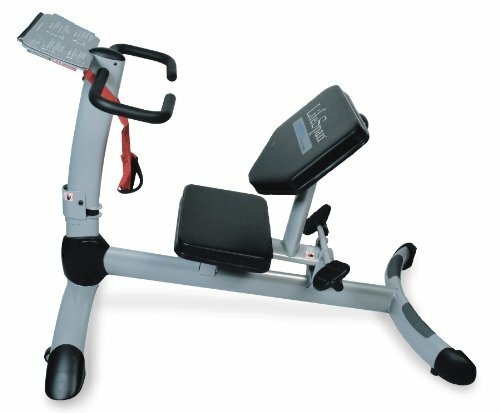 Valor Fitness CA-27 Leg Stretch Machine is an inexpensive choice when you need a high-quality leg stretching machine for your home or commercial purposes. In our testing, this machine proved to be just-right for maintaining your posture and stamina. But, there are good and bad things to take care of. When compared to the other machines, Valor Fitness CA-27 Leg Stretch Machine has a steering wheel-kind of control for stretching. However, we found the process to be much comfortable than others. We just had to place our hands on both sides and rotate the wheel — and, stretching was no big deal. With the dimensions of 54” x 17” x 9” and a weight of 49lbs, we didn’t find Valor Fitness CA-27 Leg Stretch Machine quite heavy. Starting from installation to running, everything was stable and quick. As the last recommendation in this category, we have Pro Leg Stretcher. It’s a mid-budget stretching machine that you’ll find useful for day-to-day stretching exercises. The best part is that Pro Leg Stretcher allows you to stretch beyond 180 Degree limit. So, in the end, you have an extensive stretching with your legs. In our experience, the stretching experience was easier as well as less time-consuming. To back these features up, Pro Leg Stretcher also makes use of the sturdy construction. Just as we see in the previous contestant, there is a steering wheel for stretching control. One thing we really loved about Pro Leg Stretcher is that it comes assembled. You don’t have the play with nuts and bolts to have this stretching machine running. In comparison, we found the dimensions and weight to be really low. Back/Spine Stretching Machine – Top Picks! This particular category is for those who need special care for their back or spine. The whole equipment has been designed in such a way that the exercise brings a solace to your back-pain. Here too, we have a bunch of best stretching machines to recommend. 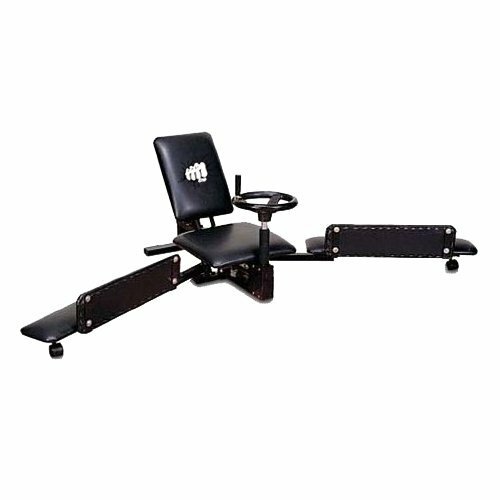 IRONMAN Gravity 4000 Highest Weight Capacity Inversion Table is one of the best back/spine stretching machine you can get from the market. It’s a bit expensive when compared, but the overall performance is more than impressive. 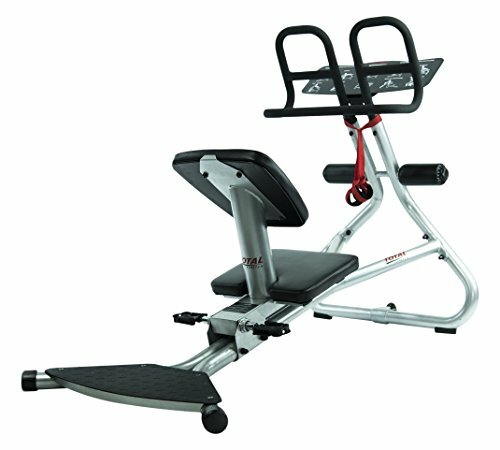 First things first, this is an inversion table that is made of high-quality form, steel and PVC. So, the imported equipment is quite sturdy and stable while using for exercise. In our experience, we faced no issue with the stability. Almost every part has been optimized for the best ergonomic output. 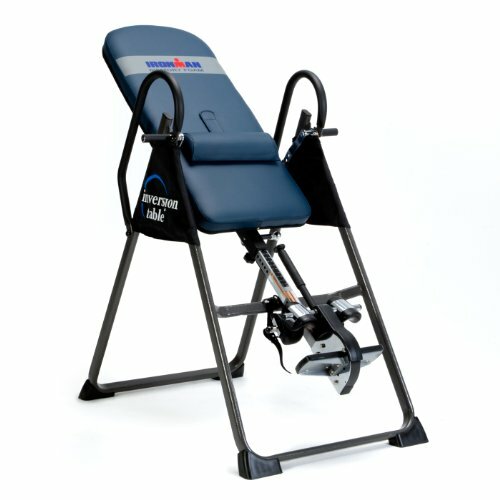 This inversion table can support up to 350lbs of user-weight. It’s pretty much cool we can expect from the best stretching machine for the price. Also, there are many security-based features in it. Even when you spend more, you won’t regret it. 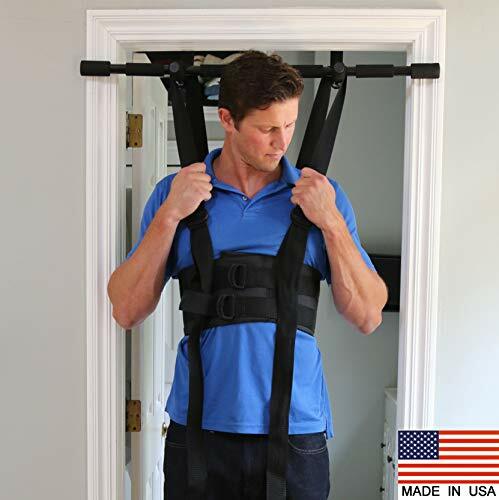 Spinal Labs PT Lumbar Chronic Back Pain Stretcher Device isn’t technically a stretching machine. Instead, it works as a truly portable stretching device that can deal with your back pain. in light of our experience, we would say the back stretching is very effective. If you are looking for a back-pain solution for affordable rates, Spinal Labs PT Lumbar Chronic Back Pain Stretcher Device will be an excellent choice. If that’s not enough, you have the benefits of 60-day satisfaction guarantee and money-back. The arch-shape design is quite effective in giving an extensive stretching experience. We were also impressed by the material quality of this Spinal Labs PT Lumbar Chronic Back Pain Stretcher Device. And, as you can guess, there’s no problem with storing this. Are you looking for a well-proven solution for fixing your back-pain and the benefits of Spinal Decompression? If so, Sit and Decompress | The Ultimate Low Back Stretch is one of the best choices you can make. Just like what they tell in their evidence, the experience was superb. In the course of usage, Sit and Decompress | The Ultimate Low Back Stretch was able to address a lot of issues. In our own case, for instance, we had back pain relief and the increase in the back range of motion. The company also states that it’s good for fixing back arthritis. Easiness of design is something we found in this stretching tool. The whole setup was easy and we did not require any sort of previous experience. Sit and Decompress | The Ultimate Low Back Stretch is available in different sizes. 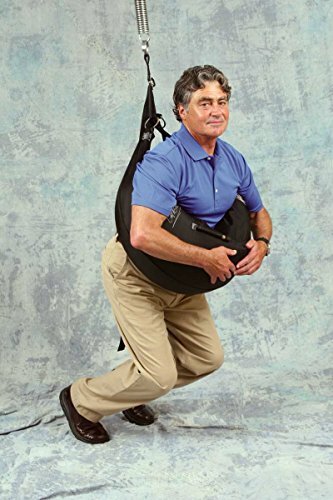 As the last product in this category, we would like to recommend Back Bubble Spinal Decompression Pain Relief Device. 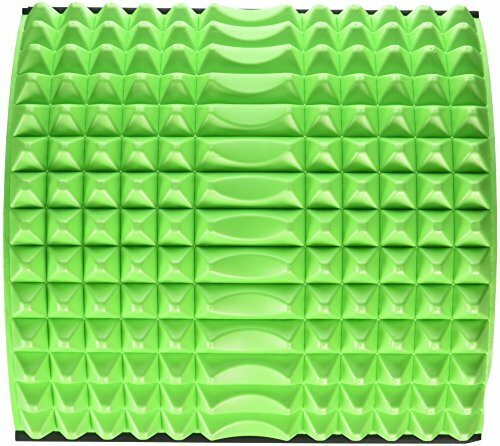 This is, once again, not a typical stretching device, but a well-designed package for spinal pain relief. One thing we loved about Back Bubble Spinal Decompression Pain Relief Device is that you can use multiple positions in a stretching session. There are other unique features such as pinpoint traction delivery and multi-direction strengthening. So, we think the extra price you pay is reasonable. Of course, there are the perks of the package being small. It’s a clinically-proven product and you won’t have to worry of the side-effects either. In shorts, this can be a simplified solution for back-pain removal and strengthening of your muscles. Above, we have shared our top recommendations for the three categories of stretching machines. However, some of you may be thinking why you need a stretching machine at home. And, we have some reasons for that. Essentially, stretching your muscles will help you stay healthy and maintain stamina. If your profession wants you to sit in one place for a long time, you’d have noticed one thing: your muscles will become somewhat dead, due to inactivity. In a case that, stretching will be quite useful. It helps you awaken all your muscles — given that you are using the corresponding stretching machines in the long run — with proper effect. You may not have to stretch all your muscles. Sometimes, it’s just about the legs or the spines. 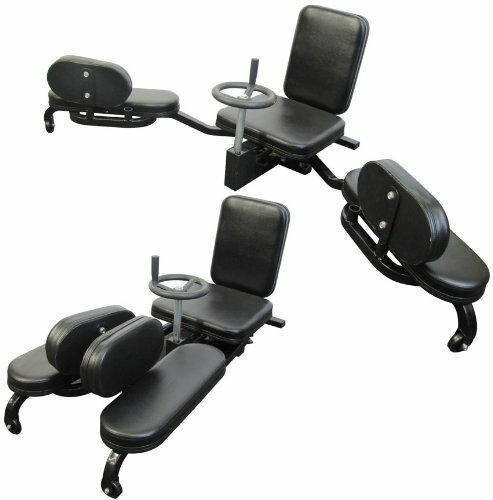 In such particular situations, you can go with Back/Spine Stretching Machines and Legs / Hamstring Stretching machines. Apart from all these, however, there are the full-body stretching machines that have an overall effect. That is, when you finish the stretching session, you will feel a new energy for your whole body. And, having a machine of your own is important. At the least, you don’t have to rush to the gym every day. Thanks to the use of versatile technologies and concepts, these equipment have now become too compact. So, you won’t have trouble in storing and expanding the machines when you want. It’s just that you have to choose the best stretching machine as per your requirements. You can even consider your physician before choosing one type over the other. Most machines do have some certifications from physicians and you don’t have to worry about the side-effects either. Obviously, you have to consider a few aspects before simply purchasing. It’s only after that you can have the best machine for your stretching machines. This is important because you are getting the equipment for a longer period of time, as well as for regular use. So, in the end, it should be a worthwhile investment for your health. To keep things that way, make sure you check the following aspects. In the introduction, we mentioned the three types of stretching machines you can purchase — Full Body, Leg/Hamstring and Back/Spine Stretching Machine. As the names say, the focus of exercise varies when moving between these types. In accordance with that change, you can pick the right one. Suppose you have some muscle-tightening issues with your leg; then, it’s good to go with the dedicated Leg/Hamstring Stretching Machine. On the other hand, if you need a complete coverage of your body healthy, we would recommend the Fully-Body machines. Regardless the choice, it should be based on your sole purpose. The overall comfort of use is affected by various factors. For instance, you can consider the padding usage and build of your machine. Just make sure that you have a sturdy-built and well-settled machine with you. In our recommendations, we have included the best stretching machines with awesome comfort. We have tried on our own and sought the reviews from previous customers of each product. So, when you start using, things will be easier for you. This is something important because the stretching machine should work fine even when you put the full weight on top. So, make sure the machine has support for higher user weight than yours. Commonly, you can spot devices with a weight of 300lbs, which should be fine for everyone. Yet, there are exceptional cases, and you have to watch out for them. Last but not least, there is this aspect of pricing. In our list of the best stretching machines, you can find machines from a wider variety of budgets. However, make sure that your purpose decides the budget. just think like this. There is no point in getting a leg/hamstring stretching machine if you need full-body coverage. So, be sensible to adapt to the budget change. There is no doubt that stretching should be an integral part of your exercises. And, we know that you love to get the best stretching machines from the market. That is why we have shared our extensive reviews and recommendation choices for each type of stretching machines. It’s now your turn to find the machine you really need — and not to over-spend. There is one thing we can assure you: we have tried all the recommendations and we have reviewed them from the neutral point of view. So, rest assured, you can pick the right one. Planning to buy a stretching machine but clueless about which is the best stretching machine out there? Don't worry, we will help you to find the right stretching machine for you but before we begin with our recommendations, let's know a little bit more about stretching machines. What are they? What are their types? Why one should use the stretching machine and same sort of things!